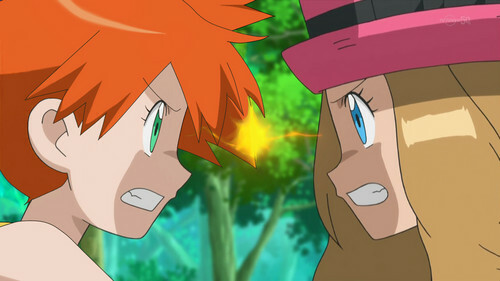 Misty vs Serena. . HD Wallpaper and background images in the Pokemon club tagged: photo. @piplupfan1 An edit from the episode A Battle by Any Other Name.